Well I suppose that as this site is about me and my workshop … I had better let you all know a little about me and my workshop. I have a small acreage property on the outskirts of Caboolture, Queensland. I have set up a workshop and wood storage area… Here in my little piece of paradise, I create one of a kind items from timber. Here is a link to the website that details what it was like as a Junior Recruit in 1974.
then working for the Queensland Health Dept for the last 28 years..Retiring from there last year 2012.
from the novice to the professional…. 16 Responses to About me. Congrats on your new site. Love your projects and your style of work. Wish you much happiness here. Site looks great! I surely will be checking in from time to time. Great space Larry and a great way to get yourself out there with customers and friends. Great job mate, will see you in Perth in July 2010. I met you and Aaron (TWS) at the Brisbane show, the hands on one. You sure got a great looking site here, well done. I thought i was seeing things with your board of the month. Great work Larry. Thanks for sharing it and becoming a buddy on Lumberjocks. I am really enjoying sharing. Hi, I’m a friend of your daughter Amanda, and she gave me the link to your web site. Your boards are amazing – works of art and so very beautiful. I am going to save up for one now 🙂 I am totally envious of your talent. Great site larry. I just wanted to thank you for all the helpful tutorials/advise you offer at lumberjocks. Larry, I just wanted to congratulate you on your wonderful web site and blog. You’ve really done a great job on them. I love your shop and your videos and I understand that you have recently retired from your regular job, so this means that you can devote much more time to your woodworking and business interests. This makes me happy because you do wonderful work and are so creative and productive. I hope that all of your future endeavors are successful and that you will always be happy and productive in your work. God Bless. I’ve followed you for quite a spell over there at Lumberjocks, and I stumbled across the link to your blog and had to check it out. It looks like we have travelled down many of the same roads in our life, it looks like we’re the same age. I joined the Canadian Armed Forces @ 17 years of age in 76, spent most of my adult life in the Medcal field bouncing around in the back of a Ambulance as a Paramedic/FireFighter. Woodworking was always my passion since taking woodshop back in Jr. Secondary School, grade 8. I was lucky having a shop teacher who loved teaching Wood shop. So back in 03 a very near death (my own death, for a change of pace) experience changed my outlook on life. I decided to do what I love for a vocation. Here it is 2011 and I still love working with Wood. 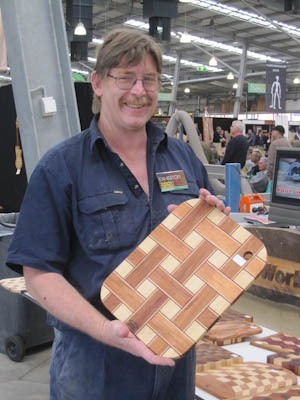 I came across your cutting boards on Lumberjocks while doing a search on “cutting boards”. I was being asked to make some and was looking for ideas. And I stumbled across a Gold Mine, your posts. I have have spent a great many hours trying to figure out how in Gods name you made some of your boards. At times it was like doing the New York Times Crossword Puzzle. But has all been fun. And for that I would like to say thank you ! It has been great watching you grow with your postings and blogs, so do us all a huge favor and keep doing what you’ve been doing. I just hope you enjoy it all as much as we do. Hi Larry – I see your wood working sight is looking better and more sophisticated as time goes by. Great wood working as always mate. Keep at it. 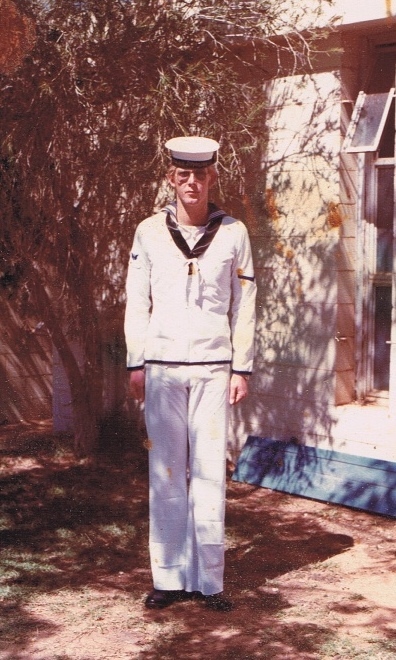 The days of HMAS Leeuwin back in 1974 when I was Divisional staff for you and the rest of the 46th and 50th intakes in Marks Division – all seem like a hundred years ago now. I see your a Grandfather and nearly so again in October..!! Well Done all round mate. Happy wood working old friend. Larry – I’ve always wanted to visit Australia. If I ever do I’ll look you up. Great work! Larry my dear friend, your web site here shows the same attention to detail yet with a whimzy that seems to be your trademark. I hope it brings you the success you deserve, buddy. You’ve been such a good friend to so many of us over on LumberJocks, sharing your years of experience and creativity freely with all comers. I think of you as a closer friend than many of my Canadian friends, even though we’ve never actually met. We share some of our early lives, as I too was in the armed forces as an Air Force policeman. Also spent time in the reserves as drum major of a highland infantry regiment and as an officer/instructor teaching Air Cadets how to fly. Got my love of wood from my dad, and set up my rathewr cramped modest shop after being forced to retire due to poor health. Have followed you and a few of the other LJs with great interest, and hope to try a few of your ideas sometime soon. I really wish we lived a little closer together, as 12,000 miles is a tad far to drop over for a cuppa and some advice on a problem in the shop. Keep well, and keep doing that voodoo in wood that you do so well.